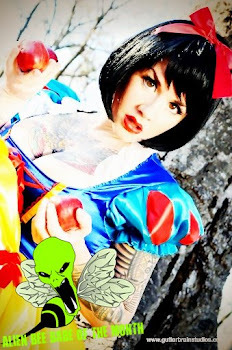 Alien Bee: Halloween Band Eat My Pumpkin Releases New Music Video "Trick Or Treat"
Halloween Band Eat My Pumpkin Releases New Music Video "Trick Or Treat"
Hey horror fans! Check out this awesome animated music video (I guess that's what we can call it) called "Trick Or Treat" from the group Eat My Pumpkin. It's a fun watch with really catchy lyrics (listen closely) and it's the perfect time of year for "treats" like this to drop! Be sure to visit the website where you can find more cool info including how to download the sine!